Your terrorists/Our lone wolves: Anders Breivik, Utøya and the misconstruction of murder. It’s been three months since right-wing writer and activist Anders Breivik slaughtered nearly 70 young members of the Norwegian Labour Party on Utøya island – enough time to begin to assess that horrific act’s meaning in a era when a European hard Right is growing in strength, and threatens to become a more significant reactionary force than violent Islamism, now on the wane. Indeed, it’s worth noting that Breivik’s massacre occurred less than two months before another anniversary –ten years since the 9/11 terror attacks. Dealing with these two events in terms of each other set a challenge for the mainstream media. It was a challenge that most failed. Despite the clear parallels with a decade ago, many commentators and sections of the media set aside the political views of Anders Breivik and relegated the political context in which the Oslo bombing and Utøya massacre occurred. Commentators firstly contended that while Breivik was not an external threat but our lone wolf, he acted only as a mad and isolated individual outside the norms of civilized society. Therefore he originated from within us, but he is not one of us. Aside this sit those who act in the name of Islam: your terrorists who arise from a religion that has violence and terror at its heart and who are the logical conclusion of its proselytising. As a second step, they demoted Norway while reasserting the view that it is really something, or someone, else we should be concerned about. And they reasserted in particular our 9/11. Overwhelmingly, a dichotomy of ‘your terrorists and our lone wolves’ quickly established itself after the 22 July 2011 events, argued both in the mainstream media and on various high profile conservative blogs. The dichotomy effectively enforced the notion that with acts of mass murder, some can be ascribed to a wider social context while others cannot. This narrative sought to, in the case of Breivik, emphasise the individual in the action, pathologising and setting him apart from his personal political commitments. In this way commentators could separate Breivik’s actions and political views from his ‘cultural’ racism and Christianity, simultaneously setting him outside growing racism and Islamophobia in parts of Europe. His attacks were therefore no more than the work of an errant and crazed individual, and thus disentangled from the vicious verbal calls to arms of numerous Right-wing commentators talking of a global civil war between the West and Muslims. [I]t is alarming beyond measure to record that Britain is even now sleepwalking into Islamisation. Some people will think this is mere hyperbole. However, that’s the problem. Britain still doesn’t grasp that it is facing a pincer attack from both terrorism and cultural infiltration and usurpation. … They fail to realise that the attempt to take over our culture is even more deadly to this society than terrorism. They are simply blind to the ruthless way in which the Islamists are exploiting our chronic muddle of well-meaning tolerance and political correctness (backed up by the threat of more violence) to put Islam on a special – indeed, unique – footing within Britain. Yet such arguments are strikingly similar to Breivik’s, and despite Phillips’ protestations show little if any distinction between followers of the Islamic faith and terrorists acting in its name. The our lone wolf/your terrorists narrative, argued by Phillips and many others, reasserts the connection between the violence and regression of Islam on the one hand, and the civilizing nature of the (Christian) West on the other. The narrative in part finds its roots in the initial media reporting after the attacks in Norway: the set-piece response of blaming the ‘Muslims’. Like commentators in the US after the bombing in Oklahoma City, some don’t wait for the details to emerge and simply assign responsibility to ‘Muslims’. In contrast to reality, where of the ‘294 failed, foiled, or successfully executed attacks’ in Europe in 2009 (as reported in The European Union (EU) Terrorism Situation and Trend Report) only one was at the hands of a Muslim, it is to Muslims that the media and Right-wing commentariat turn. In the starkest example, only hours after the atrocities, UK based The Sun’s front page declared: ‘Al-Qaeda Massacre: Norway’s 9/11’. It seemed Rupert Murdoch’s staff were determined to create further issues of credibility for the paper’s owner, and reported the attacks with the subtlety of a sledgehammer. The killings were described as a Jihadist effort designed for those who live in the ‘friendly and civilised” streets of Norway. As media monitoring blog Tabloid Watch details, the paper’s editorial in the print version included whole sections assigning blame to that ‘Ramadan observing’ ‘scourge of the West’. Statements later removed in the online edition once it emerged that the killer was in fact a blonde-headed Norwegian nationalist and ‘cultural’ racist, a fact which dozens of writers and media outlets had to scramble to make allowance for once Breivik’s unmistakably Nordic features were flashed around the world. What it says is what we’ve seen repeatedly: that Terrorism has no objective meaning and, at least in American political discourse, has come functionally to mean: violence committed by Muslims whom the West dislikes, no matter the cause or the target. Indeed, in many (though not all) media circles, discussion of the Oslo attack quickly morphed from this is Terrorism (when it was believed Muslims did it) to no, this isn’t Terrorism, just extremism (once it became likely that Muslims didn’t). There was, in particular, a revision of Breivik’s actions being politically motivated and part of a wider grievance with society by some, and recast as the meaningless act of an individual. Breivik, clearly mad, was acting as a lone wolf. Importantly though, in a narrative where Breivik is our lone wolf, those speaking for the ‘civilised West’ are able to both own and disown him in the same moment. Suiting the wider purpose of situating the event outside the sphere of the civilised, such a narrative has in some quarters also offered an olive branch of understanding to some of Breivik’s grievances. Insidiously, some coverage has expressed partial agreement with the motivations that drove Breivik to his crimes. The New York Times, in a detailed dissection of the rise of far Right sentiment across Europe just days after the atrocity, wrote: ‘A combination of increased migration from abroad and largely unrestricted movement of people within an enlarged European Union, such as the persecuted Roma minority, helped lay the groundwork for a nationalist, at times starkly chauvinist, revival’. Such an analysis could easily have come from Breivik’s own mouth. It is the ultimate in sympathy with the oppressor, justifying anti-immigrant racism on the basis of the immigrants themselves. Recall the hysteria when people pointed to the grievances that drove Islamist terrorists – Western military occupation of Muslim countries, support for brutal dictatorships, the endless horror in Palestine – progressive voices were told that this was outrageous and that it was all about ‘them’ hating ‘us’ for our way of life. Yet those grievances had a basis in reality, rather than febrile racist ideology (even if the terrorists’ methods were a disaster for the struggle against oppression). A complementary vein of analysis has attempted to demote the significance of the massacre and brand deeper consideration of it as a distraction from the real concerns of this age. It is, they argue, the war against civilization – and the rise of ‘Islamofascism’ in particular – that we should be concerned about. Yet while this is implicit in the dichotomy of our lone wolf/your terrorists, it has been more explicitly argued by a number of commentators on the Right. Daniel Pipes argued that Breivik should be considered, alongside the Unabomber Ted Kaczynski, the Oklahoma City bomber Timothy McVeigh, and the Hebron mass killer Baruch, as one of the four outstanding exceptions to the dominant rule of Islamist mass murder. He goes on to quote various statistics about terror attacks linked to Islam, raising a figure of 25,000 events since 1994. In contradiction with the mainstream evidence base on terror attacks, such as the EU report mentioned above, or Robert Pape’s well-regarded book on backgrounds of suicide bombers, Dying to Win, Pipes quotes from a website that engages in the same ‘cultural’ racism as Breivik’s. Pipes’ ‘source’ argues it is non-religious and ‘generally support the rights of atheists, Christians, Hindus, Jews, homosexuals, women, Muslims’, but that ‘Islam is dreadfully unique … rigid political and cultural system with a mandate to conquer and govern the lives of others via necessary … violence … sanctioned by the Quran’. Pipes’ concern is not so much with the massacred Norwegians, or with the rise generally of a new far Right arguing for violence against Muslims in Europe, but that ‘… Breivik [has] damaged conservatism, the counterjihad, and (in particular) those authors he cited in his writings, including himself’. Breivik’s mass murder is, in the end, nothing more than a distraction from the real war against Islam and the necessary ‘counterjihad’ Pipes himself is leading. Just days before a barbarian … murdered over seventy people in Norway, the city of Mumbai was attacked in a brutal jihad by Muslim extremists, again. Hear about that? Not so much. But one cold-blooded killer who has been planning a slaughter in Norway (setting his plan in motion since before 9/11) has become the rallying cry of the dhimmedia in service to the most radical and extreme ideology on the face of the earth. The ‘crime, ladies and gentlemen’ (she argues) is not the deaths and maiming at Breivik’s hands but that no one ‘is reporting about [Islamic] acts of war on the West’. This was the logical end-point of the ‘lone wolf’ argument – Breivik’s true victims were the hard-Right writers from whom he had drawn influence and intellectual sustenance, his true crime to damage their cause. The true dead – victims of a political assassination – became invisible. Thus at a time when residents of the West were required to express their ongoing empathy for those killed in and impacted by the 9/11 attacks, we were also expected to demote and reduce in rank what happened in Utøya. In both circumstances, nonetheless, we are expected to set aside the global political context in which such actions occur. The space to consider in detail the social origins to the rise of the far Right and social polarisation is limited. As limited and trivial as the space given to consider why the 9/11 attackers took the action they did. Sloganeering and superficial analysis hinders placing these actions in context: whether it is ‘your terrorists hate our way of life’ or they are new form of fascism, or alternatively ‘our Breivik was mad and an outsider’ or his actions are only symptomatic of a general malaise. It is also important to not accept the media’s softly-softly approach as a sign of a new maturity in the wake of incorrectly labelling the events in Norway as ‘Muslim’ terrorist attacks. It is precisely because the media is so deeply implicated in the last decade of state-sanctioned Islamophobia and diminution of civil liberties that it is rushing to frame a story that perpetuates a lack of comprehension about the links between the extreme Right and how governments have managed social polarisation with the media’s collusion. Indeed, they will do so alongside a continuation of the very anti-immigrant tropes that fostered the current climate. As boats arrive in the North, and peaceful protest camps are broken up with a degree of violence designed to create a spectacular image of ‘law and order’ for the media, it is worth reflecting on the techniques the Right will use to absolve themselves of any responsibility for the terror that comes from their politics – even when the dead lie fresh on the ground. 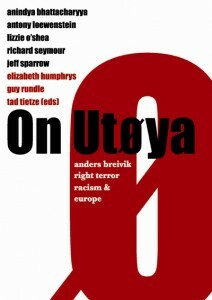 This is an edited extract from On Utoya: Anders Breivik, right terror, racism and Europe edited by Elizabeth Humphrys, Guy Rundle and Tad Tietze, available now on Amazon Kindle and other platforms. Or visit www.onutoya.com. Senator Lee Rhiannon and Antony Loewenstein will launch the book on Wednesday night, 6.30pm at the Norfolk Hotel, Cleveland St, Surry Hills, Sydney. Oh, congratulations and well done. 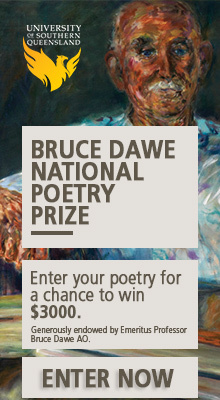 If I were in Sydney, I’d be at the Norfolk on Wednesday eve. Excellent essay – unbelievable how humans can so twist the narrative of an event to suit their beliefs (well not unbelievable so much as completely in line with what humans do all the time, unfortunately) – the construction of a worldview that is consistent with inner beliefs, yet often irrational given the evidence available. I suppose I should buy an e-reader so I can read the rest of the book – argh! Thanks Elizabeth – didn’t know about the free readers – cool! Thanks for posting this Elizabeth. Am very much looking forward to reading the book!